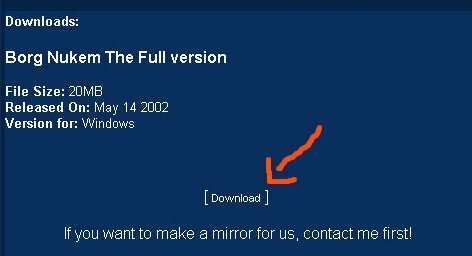 It seems to be so hard for some people to download files from Fileplanet. So I have had enough of complains. Here are the results. A perfect guide which helps you to download a file from Fileplanet. 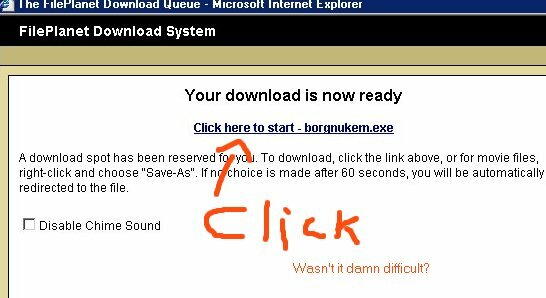 Let's go to http://borgn.totalconversions.com/bn2 and let's download 'Borg Nukem TC' (you don't need Duke to play this). See descriptions under each picture. Go to 'downloads' page. Click '[Download]'. Da fileplanet appears. Don't try 'Personal Server' because it requires $. Scroll down the page. 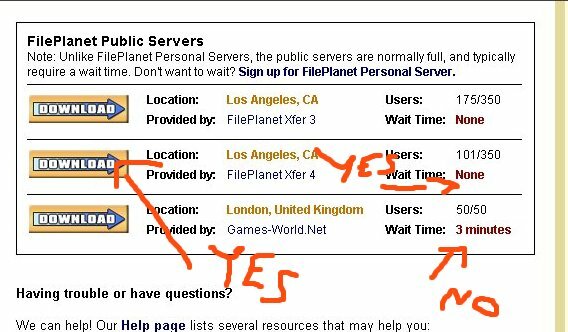 'FilePlanet Public Servers' appears once you have scrolled down the page. Now click download picture. You have some download location options - choose the one with no 'Wait Time'. If there are only locations with 'Wait Time' then click them. But I have never had any 'Wait Time' when I have downloaded Duke stuff. This is the final screen which appears after you have clicked download picture. It's pretty obvious what to do here. If for some reason Fileplanet requires registeration then do register. It does not cost anything and you only have to do it once. If you have already registered and it asks you to login then just type your email and password. It never asks me to login or register (for some non-Duke files it asks login sometimes).